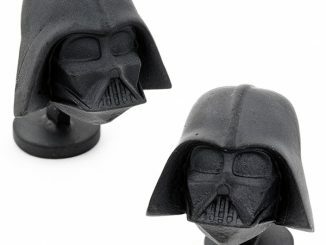 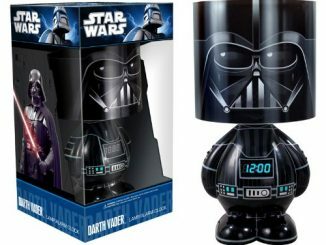 Turn down the lights, cue up the Imperial March music and enjoy this Star Wars Darth Vader Desk Lamp. 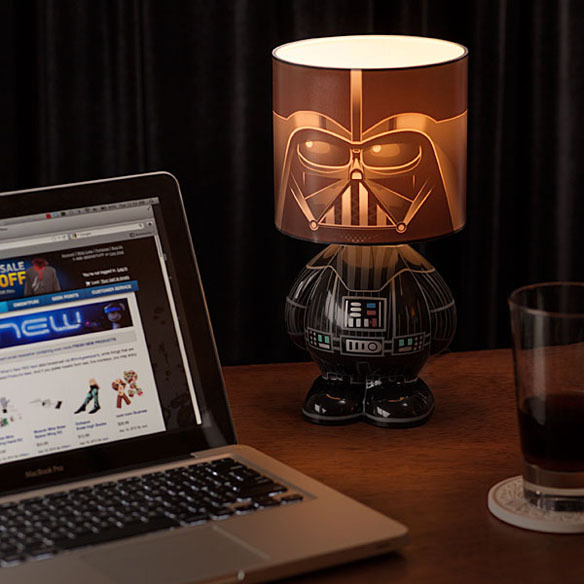 Let Vader watch over your desk and shed some light into the world for once. 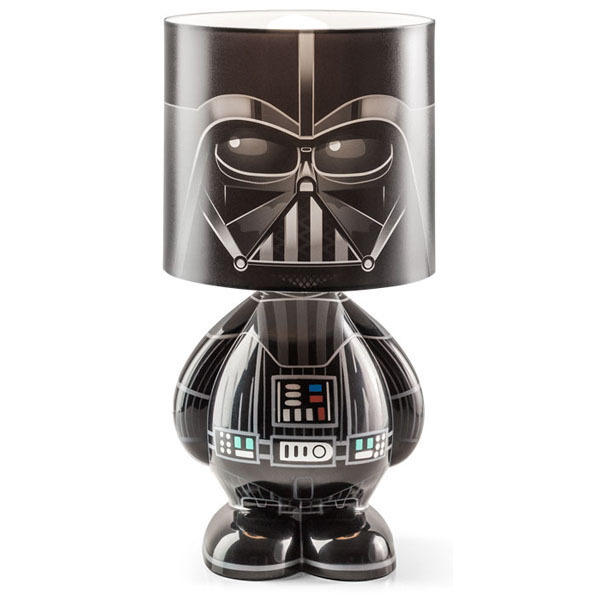 This lamp oozes Sith style with it’s super-deformed Star Wars body and Vader’s face as the actual shade. 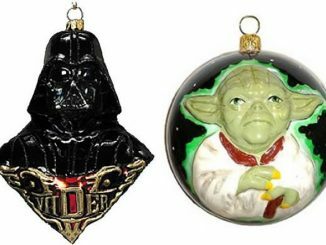 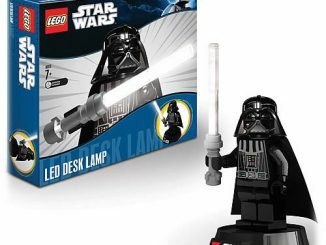 He may be all about the dark side, but he wants nothing more than to light up your life. 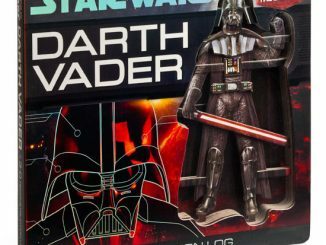 He still has good in him, I know it. 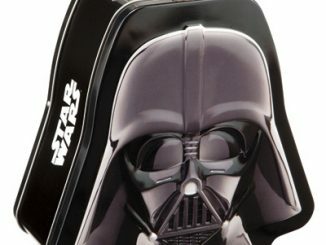 A desk lamp shaped like the best Vader ever: DARTH Vader. 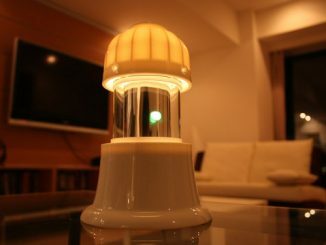 Bulb Size: E26 Type G – 25W (not included). 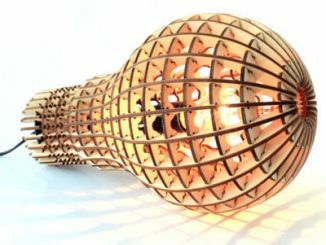 Dimensions: 11.5″ tall x 6″ diameter. 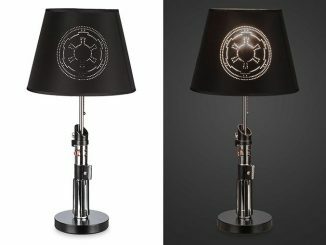 This is a must for any Star Wars fan looking for a cool lamp. 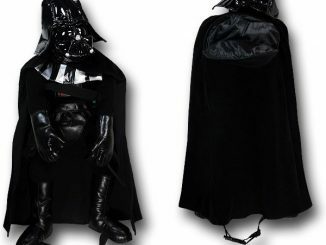 It’s $44.99 well spent from Thinkgeek. 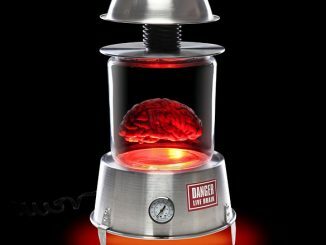 Also available at Amazon.com for $40.35.